CEIS is a designated Notified Body (No. 1722) for the CPR for System 3. CEIS tests to all the requirements of the CPR of cables. CEIS is providing a full service to manufacturers and traders under the CPR. Since 1 July 2017, according to the CPR (Construction Products Regulation) it is compulsory for manufacturers and distributors independently of the place of manufacture to apply the CE Marking to power, control, communication and optical fibre cables designed to be permanently incorporated into construction works, not only buildings but also civil engineering works anywhere in the European Union. 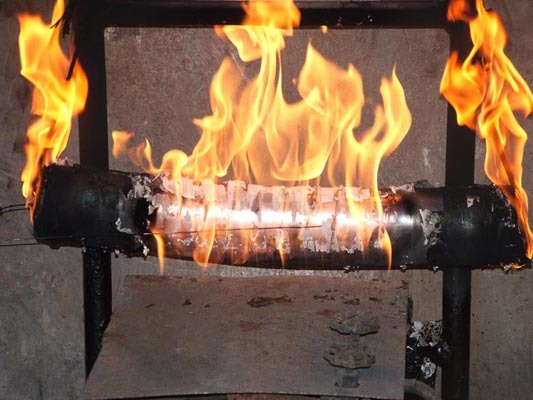 The harmonised European standard UNE EN 50575 specifies the requirements for reaction to fire performance, test methods and evaluation for the award of classifications, called Euroclasses (RD/ 842/2013) and classify the cable for reaction to fire based on tests carried out by a Notified Body. EN 50399: Heat release and smoke production measurement on cables during flame spread test. EN 60332-1-2: Test for vertical flame propagation for a single insulated wire or cable. EN 61034-2: Measurement of smoke density of cables burning under defined conditions. EN 60754-2: Determination of acidity (by pH measurement) and conductivity. The manufacturer must also undertake internal FPC & routine audit testing. The presence of CEIS in many international meetings allows us to contact a multitude of Notified Bodies for System 1+ that facilitates the process. Categories Dca and Eca are subject to the requirement of AVCP System 3. To reduce the cost and complexity of the CPR requirements, it is possible in many cases to group cables into “families“ and assess them in accordance with EXAP. The knowledge and experience of CEIS, allows us to advise our customers for the optimization of these systems.